Do Dance Teachers Need to Plan their Lessons? You’ll sleep like a baby when you plan your dance lessons in advance. Suppose you went to your music lesson and your teacher said to you, “What piece were we working on?” Or what if your lawyer said, “What is your case about again?” These clearly are not professional responses and are likely to fill you with doubt about whether you hired the right person. Now, imagine how it would be to hear your music teacher say, “I’ve been thinking about you all week. I have a piece of music I think you’ll enjoy playing that will develop your ability to invert chords and give you a chance to work in a completely new key.” My response would be excitement, trust, and the secure feeling of knowing I’m with the right teacher. This demeans our industry and diminishes the value of private lessons. When dance teachers are unprepared, students start to wonder why they’re paying so much for private lessons. 1. Your students will feel “cared about” and will know that you have their best interest in mind. 2. You will relieve yourself of the stress of not remembering what you previously taught. 3. 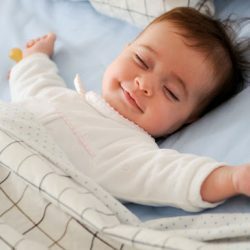 If you create lessons plans for the students and classes you have scheduled for the next day, you’ll sleep like a baby! 4. You can use your lesson plans again and again, especially for group classes. Once they are tried and true, you do not need to recreate the wheel each time. 5. Your lessons will be more interesting because in taking the time to plan, you think of new ideas and break up the monotony of teaching the same way all the time. Try it! It takes less time than you think and will raise your status in the eyes of your students like nothing else! Do you think teachers should plan their lessons? Leave a comment telling us why or why not. I agree with this information that dance teachers give their best service through private teaching. And this also very useful for the students. Because they get better attention by their teachers. Thank you so much for providing these valuable information. I’m looking forward to the next time that I get to come to your blog.